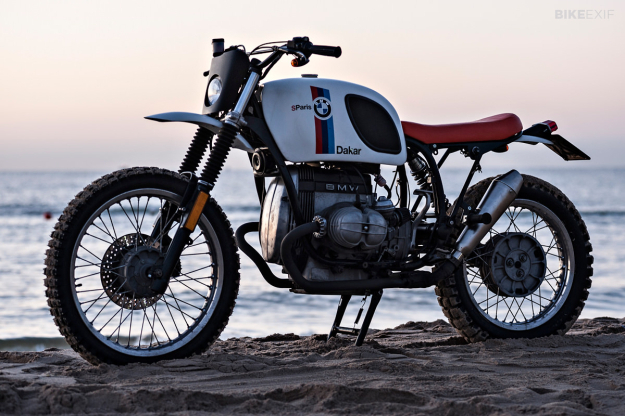 With a barrage of classic BMW boxer customs gracing our screens of late, it’s easy to overlook the legendary R80 G/S. 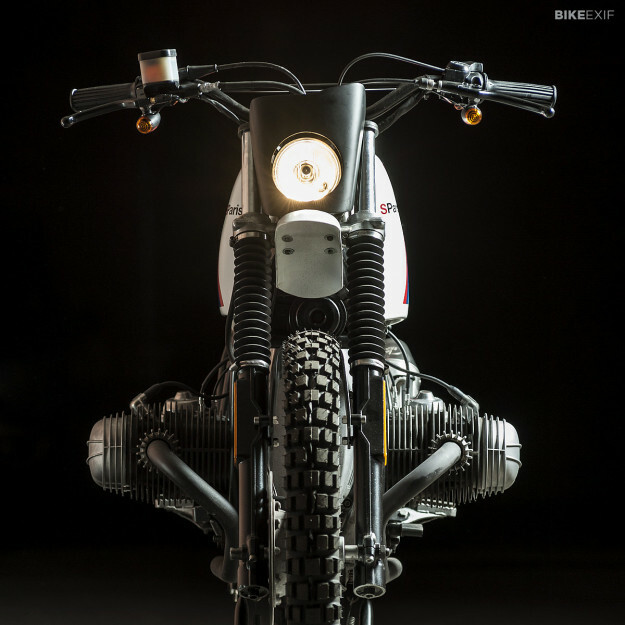 Being such an iconic motorcycle, few builders dare customize it. 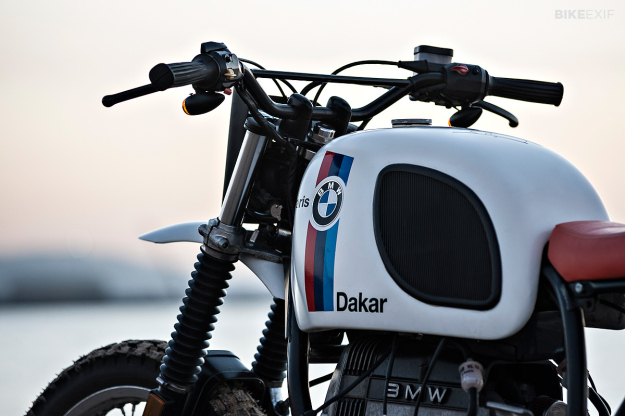 Especially when dealing with the über-cool Paris Dakar model with its large capacity fuel tank, solo seat and historic BMW racing livery. This is the position that long-time friends Mattia Ruiz and Fabio Franceschini of Svako Garage found themselves in. Svako are relative newcomers to the scene, but are gaining ground quickly thanks to their enthusiasm and creativity. 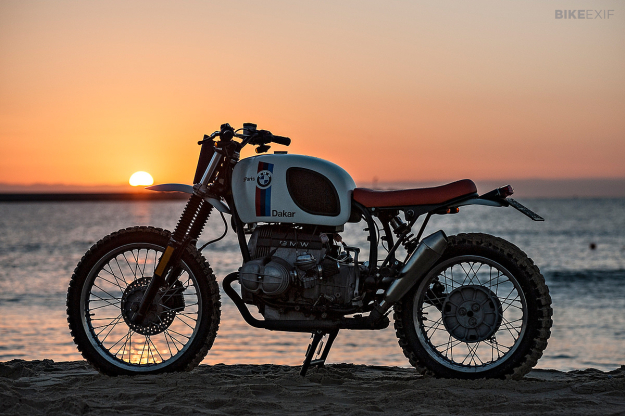 The Sicilian duo recently ended up with two R80 G/Ss in their possession—a standard ’81 to be customized, and a rare, fully original ’84 Paris Dakar. Staring at the two bikes side-by-side, inspiration hit them. 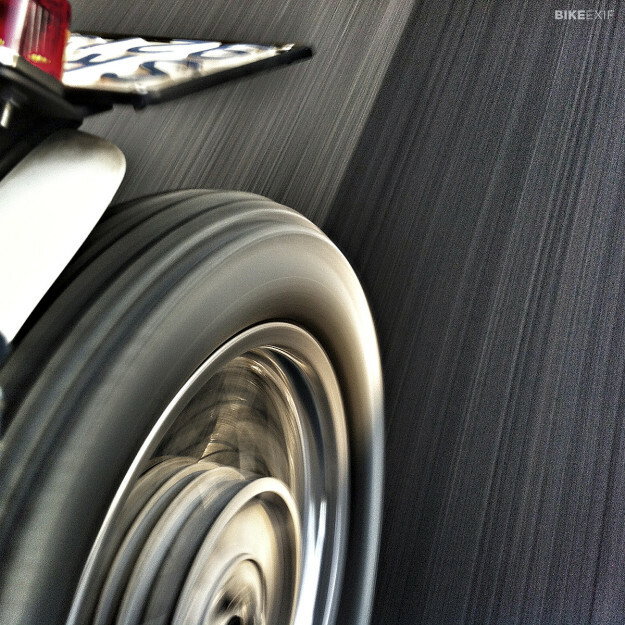 While the Paris Dakar would remain untouched, the ’81 would be remade as a tribute to it. A replica with a Svako twist—a ‘Sparis Dakar,’ if you will. Svako liked the charm of the stock G/S, so the trick was to stick to minimal, tasteful changes. Starting at the front, they fabricated a cowl to house the headlight and a MMB speedo. The clunky stock turn signals were ditched for smaller LED units, and the handlebars from a Honda Dominator were fitted with stock BMW grips, levers and switchgear. Using the top section of a R75/5 tank, and the underbelly of the R80 tank, Svako constructed a new tank from fiberglass. A smaller battery is now hidden under it. The subframe was thoroughly reworked to support a slimmer custom seat. Hand-made fenders were installed, along with a mini Lucas-style tail light. Svako overhauled the engine, fitted a new pair of ‘peanut’ covers and removed the air box in favour of K&N filters. They also modified the G/S’s stock headers to make them fit a Leo Vince SBK muffler. The bike still rolls on stock suspension and wheels, now with a new set of Continental TKC80 tyres. More cues came from the ’84 Paris Dakar for the color scheme: white, with Svako’s own version of the Paris Dakar graphic, and a red seat. 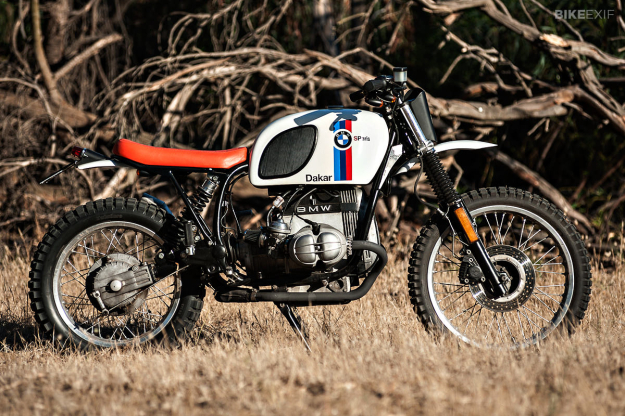 The result is a well-judged take on an icon—one that might have a few G/S owners reconsidering the futures of their own bikes. Photos by Alessandro Castagna. Svako Garage are on Tumblr and Facebook.